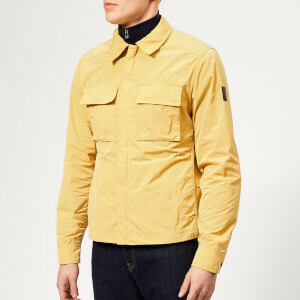 The ‘Bantham’ jacket from Belstaff is crafted from technical polyamide fabric which has undergone a unique garment dye process for a textured light grey colour. 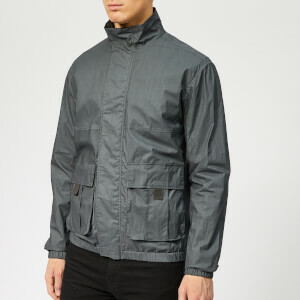 Fastened with a central zip and snap button storm flap, the men’s jacket has a classic four-pocket silhouette with zipped bellows pockets on the hip. 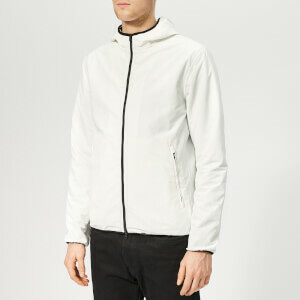 A high neck with a stowaway waterproof hood provides added protection from the elements. The practical jacket also includes internal straps that allow it to be carried on the shoulders. An elasticated waist and cuffs offer a customised fit. 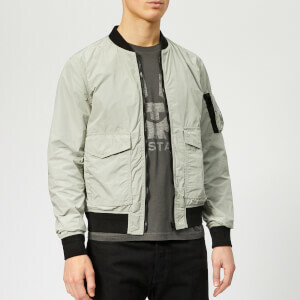 Finished with a signature Belstaff logo patch on the left sleeve and silver-tone hardware.